. 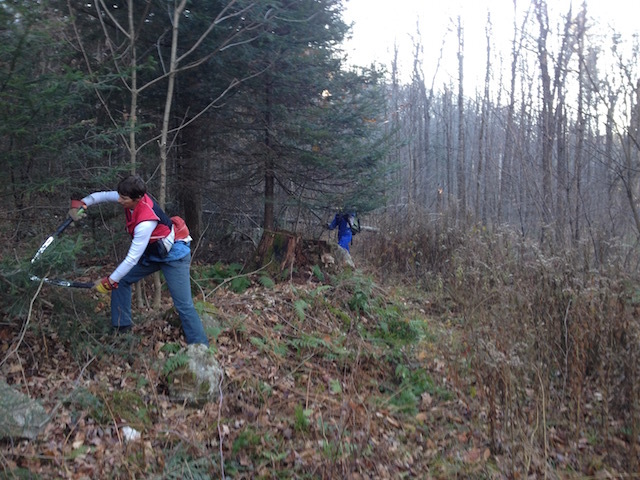 : XC Ottawa Goes Trail Clearing at Nakertok North :: Ski XCOttawa.ca :: Skiing in Ottawa and Gatineau Park :. 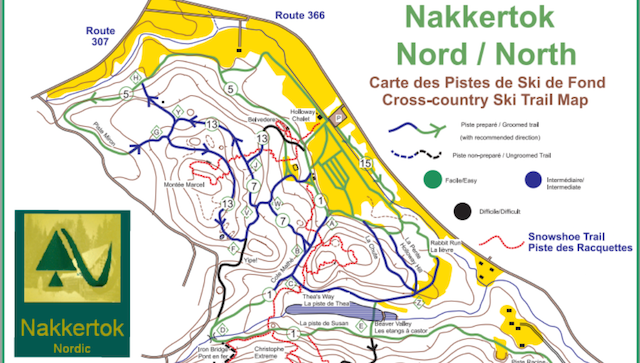 Nakkertok North is located at 62 Route du Carrefour in Val-des-Monts Quebec, and is roughly a 30 minute drive from Chelsea. It is home of a fantastic network of narrow windy trails, and is host to the famous annual "Thea's Race". The recent addition of a soccer field near the Nakkertok North lodge has forced the club to relocate it's start and finish area, and therefore also widen a few of the trails that feed into this new start/finish zone. That's where we come in. Armed with tree lopping shears, work gloves, and about as much coffee as one person should drink, the team got to work clearing trails guided by John and Marcel, of the Nakkertok trail maintenance team. The goal was simple, cut and clear all the branches that would prevent the trail from being wide enough to groom two classic tracks side by side, about 10 feet wide. It was a beautiful day, and we were all warmed up from racing the King's Court Classic Rollerski Sprint earlier that morning. The Holloway Chalet is the main chalet where we started from, and the trail we focused on was trail #5. I hope you have the chance to get out to Nakkertok North and try the newly widened trails once the snow flies! I highly recommend it, the classic skiing is phenomenal! 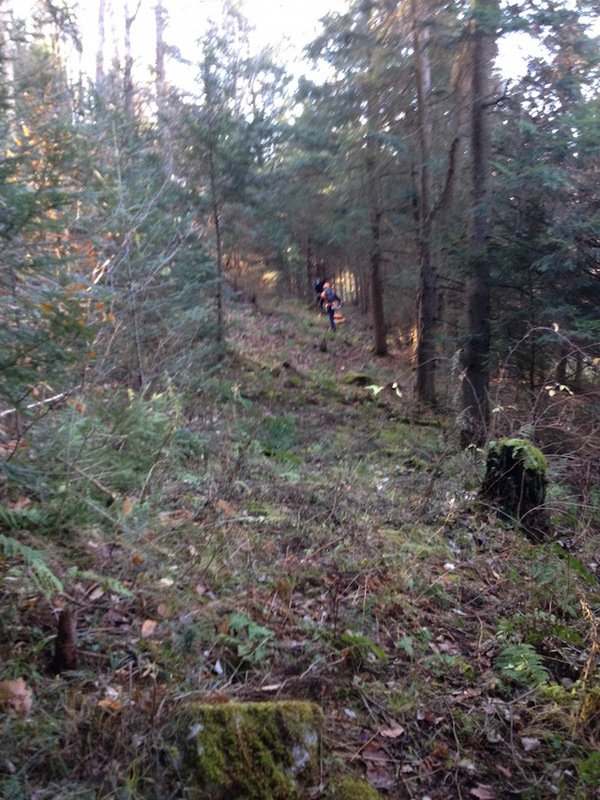 Clearing brush as John lead the way with the whipper-snipper. Kyla lobbing off tree branches like a boss. Megan, and Karl off in the distance, working hard. Current Events: Nakkertok Kraft Heinz Project Play Voting Has Started! Jobs: Fast and Female Needs You! "Simply put, Podiumwear is the best custom team uniform apparel in the World."